A recent online discussion about old cars, the tag ‘classic’ was applied to a car I was discussing; more specifically, that the motor in question, a Peugeot 205 Gentry was ‘not a classic’. Considering I never said it was – but actually think these cars are quite special – I was more than a little miffed. It did get me thinking – once again – about the whole tagging situation, and old cars in general. The ‘classic’ car thing sometimes does leaves me baffled. It’s too vague, too blurry, and as a term, far too open to misinterpretation. It’s clear that as a catch-all term, it does have its uses – but when no two people have the same idea about what should – and should not – be included in the club, it really is time to do it European style and start categorising old cars rigidly, and apply names and formulas, based on age. Thinking about it in those terms, a brand new car could be a classic. Wouldn’t you say that the Jaguar XF or Land Rover Evoque, for instance, are two British classics that define their sectors, and are cars their rivals are judged against? And with that in mind, I do think it’s time to do what the Germans, and most other Europeans do, and simply divide by age. It’s been done before, and still goes on for the really old cars – so why not extend? And do away with tedious, tiresome ‘classic’ car elitism once and for all? The reason I’ve gone with a rolling set-up for the post-War cars is simple, and again ‘borrowed’ from the European way of doing things. In all countries (UK aside, which has its silly 1973 cut-off; and – I think – Denmark), 3o years is the typical point where cars become Oldtimers, and start to attract those ‘classic’ exemptions we like so much. So it seems completely logical, to me at least, that we should do the same – and also accept that in time, and the passing of the years, new cars are consistently joining the historic motoring scene. And that means that in a stroke, the scene would be more inclusive, more welcoming, and finally accepting that as time goes by ‘younger’ cars are getting old. And more importantly, cherished and enjoyed. As for ‘classic’ cars, let’s re-take that word’s true meaning, and accept that in order to be classic, it needs to be good. Not old. That’s something else entirely. But as ever, I’d love to hear your views on the matter. ...and this Rover 213 would be a 'Youngtimer'. until 2017. So if something has to be good AND a benchmark to be a classic, that leaves us with the Range Rover, Mini and not much else. Keith, your new system seems a good idea, but do you think there should be another gap between 1940 and 1982? Thinking of the advances in design and technology in that period? Then again you could say the same about 1982 to 2002. I totally agree that the term “classic” is simply too vague. What the dictionary says isn’t much help is it? So that would mean “classical” music would be the bench mark against everything from Isaac Hayes to AC/DC to Jedward? We know what we like here, so do we need to give it a class, order and phylum as if we’re in a biology lesson? Of course, the term “classic” could be useful when it comes to taxation and insurance, so in that case I’m happy for absolutely anything to be a classic if it makes it cheaper to run! But when it comes to loving our cars, will we all ever agree if something isn’t a classic or not? If we love our cars and keep them on the road, then in my opine, that’s enough. Good call… I think the debate has already started over here if 30 isn’t too young with good, durable cars like the Mercedes 190 now joining the ranks… Some fear that the amount of oldtimers will be growing too fast. But on the other hand, we have requirements for condition tied to the age – which means that the car has to be in very good and original condition (or restored, or modified to contemporary standards). Even if some may personally think of my Maxi as just an old car, the legal definition clearly states it is an oldtimer – so no discussion about classic or not with insurance, exemption for low emission zones etc. Here’s something I forgot to say: how about doing away with the term “classic car” and replacing it with “character car”? Good idea, but needs tweaking. The ‘Oldtimer’ section is way too long a timescale, I’d have a split so that no section was more than 20 yrs long. Pre-war needs redefining, any car before WWII is actually pre-war, why should cars from 1929 be classed different from those from 1930? I don’t think it needs subsections at all from a general point of view. I.e. from a legal perspective anything over 30 years old and meeting certain conditions is classed as oldtimer here in Germany (and named so by the general public). I’d say finer definition is something left to show and rally organisers who want to select certain age groups only or need some classification for price giving etc. I think Classic in the car sense can mean rare. So things like a mk4/5 Cortina, which used to be everywhere, are now Classic as they are rare. Anything that survived “banger valley” and made it out the other side alive. 205s aren’t quite rare enough, in part due to the rustproofing and that they were fairly reliable. It also means that cars that were rare to start with like the XM will soon be classics, even though they didn’t stop production til the early 2000s. Another definition of whether or not a car is a classic could be if it is deemed worthy of having clubs set up for it by enthusiasts. Ok, you might say, that makes things even more vague but to be honest I have never seen any clubs for Range Rover Evoques, but have for Imprezas. The Impreza makes sense and you could not argue against it being a benchmark for what it was – a world beating rally car- and deserves its place in motoring history. We all have fond memories of cars of our youth, whether owned or merely driven. This is why I have a love for Minis (I own 3, including a Hornet), Allegros, Mk4/5 Cortinas and MGs. I go to many car shows each years and see many prized and pristine examples of Triumphs, Marinas, Hillman Imps, Allegros and various other cars that have been accused of causing the decline and destruction of the British car industry. However, at the end of the day they are classics to their owners (either because of their age or the owners’ love)and deserve to be considered as such. Even if only to help us learn the lessons of history, so that we never forget the bad as well as the good. I think many people see classic cars as the cars from their chidlhood. I will never see cars from the 80’s as classic but many younger people will. This is not a problem for most people but upsets those who like to think they are experts and only their opinion counts. The simple fact is if you like your car and think it’s a classic then it is to you and that’s fine, love it clean it show it but don’t worry about which “box” you fit into. But does this mean rare in a country, or rare globally? For example, the Peugeot 504 would be a Classic in this country (old and rare) whereas in Egypt, they’re everywhere! You don’t see many 70s and 80s Toyota Corollas in this country, but globally I’m sure there’s still loads around. Everyone’s got their own criteria really, afterall one man’s classic is another man’s old banger. Consensus on a subject like this just isn’t possible, and who really cares anyway. Cars are for driving, not arguing about definitions. In the end a definition that could be proved in an objective manner, similar to roadworthyness is needed. Yup, agree with that. Spend all your time arguing about cars and you’ll never find the time to enjoy them. Isn’t any car which Top Gear drops a piano on a Classic Car? Only before they dropped the piano! But then, something like a 504 wouldn’t be classic in Egypt, it is here, if you imported one you could gain entry to a classic car show as a curiosity. The 504 had a bit of a longer life there too (as did the Cortina in Turkey) so were more recent. I’m sure in Egypt, like a lot of middle eastern countries, they have little need to put salt on the roads, so the cars last longer. They probably also don’t have the same disposable society mentality as the UK, which deprecates a car every 6 months because the numberplate is out of date (on GB mainland anyway) and you are nobody in suburbia without the latest 316i. Maybe classic cars have a different meaning in Egypt, maybe things like Traction Avants but maybe not CXs are considered classic? Although older cars are my principal hobby, I stopped using the term ‘classic cars’ in conversation a few years ago for the reasons Keith has set out. Another term I rarely use is ‘sports car’ – often applied to models not known to have taken part in organised sport. Sometimes it’s used to describe any 2-seater, regardless of its capability. ..No, it’s post piano dropping.. as in “Oh man, That’s classic”.. But seriously, I agree.. A categorised system IS needed.. Even if it’s only to sort out the ever expanding mess that is “The Classic Motor Show”.. That place is a mess now, as 80’s and even early 90’s cars creep in.. If that show was displayed in the categories above, then the terms would quickly stick and you could compare rivals as contemporaries.. Though, you’re always going to want clubs that would like to stay together, and I can appreciate that.. It sounds good to me in principle. Of course, it will never stop the grumblings of the handlebar moustach brigade who think the pinnacle of automotive development was the lever arm shock absorber and that the SD1 is the spawn of satan. BTW, I can’t remember the last time I saw a 205. Always liked the Roland Garros edition – A classy, good looking small car. The only car of mine I have ever described as a ‘Sports Car’ was the GTV, because it felt like a mini Ferrari. It was more of a coupe though. It grinds me to hear Crossover / SUVs described as ‘Sport’. Kia Sportage, Mazda CX7 described as a “sport crossover” and, yes Range Rover, I’m looking at you! Sport indeed. Reminded a bit of those PE/schoolbags some of us carried at school at some point. The ones that were blank apart from a transfer that said “SPORT” with a silhouette of a football on it. We’d need some real re-education of the word ‘classic’ which is used as a differentiator between original Mini and new MINI for example, with the old one being called ‘Classic Mini’. Is that because it is better or because it is defunct? I think a ‘classic’ car is one which raised the bar significantly when launched AND became a benchmark for other manufacturers to adopt. To wit:- Jaguar E-Type and XJ6, BMC Mini, Citroen DS, Rover 2000, SIMCA 1100, VW Golf. More modern examples might include the Ford Focus. There are plenty of other old cars which are interesting, or popular for other reasons such as quirkiness or character, Citroen 2CV, MG MGB, Triumph Herald for instance. Then there are plenty which some people love despite lack of technical merit, BMC Oxbridge, Hillman Minx for example. Here in AROnline-land of course we seem to like the valiant duds – Allegro, Maxi, Marina, TR7 et al. It probably doesn’t really matter though as long as you enjoy your old car and can take it to shows where the rest of us can reminisce about them! And dosen’t SUV stand for Sports Utility Vehicle? I’ve heard people call the XC90 an SUV, when it’s as sporty as a cabbage. And what does “crossover” mean anyway? Ah my PE bag was waaaay cooler than yours ;-). Day glow yellow with pictures of little stick men doing sporty stuff. Good point about what SUV stands for! If sport is ferrying spawn to nursery school and bullying other motorists then fair enough. I think that marketing can use ‘Classic’ to differentiate old and new products. cf. Range Rover Classic, Mac Classic, Coke Classic etc. Classic Mini is thus because it refers to the original Mini. According to Footman James, from an insurance point of view, a 205 GTI became eligible for their classic car policy at 10 years old but ‘lesser’ models of the 205 have to wait until they are 20. The Peugeot 309 is not on their classic list nor their modern list so they simply wont insure one. I’m glad Keith ended this debate at post 13! To me it’s like this. Lets think outside the box and think on say Toyota for a minute. To muddle things up further, had the corolla been the RWD twin cam 16 coupe jobby then it would be classic. Had the MR2 been the Mk2 version, then it would just be a bloated diluted version of the original and not classic anymore. All of these cars however are classic cars. Some however are more ‘classic’ than others. Final point, remember that this was only a one decade cross section of one foreign brand!!!! Basically, bring back rolling 25 year free road tax! Maybe our perception is colored by our age relative to the cars we call classic and those we don’t. I was born in the late sixties and started driving in the eighties. I’m American so I’ll mention some cars I owned as a teenager. A 1970 Dodge Dart and a 1971 Chevelle. The Dart, had it survived, would be a very old car now, possibly headed to antique status, but I wouldn’t consider it a classic. The Chevelle 2 door hardtop v8, which was a pretty desirable car would be closer. For a time I owned a 1979 Dodge Aspen. The Aspen especially of these three, was garbage. It was garbage when it was new and it was garbage when I owned it as clean second hand car. I cannot ever consider it a classic. However I’d probably consider any pre-war or even 1950s car a classic. It’s just how I’m used to the term being applied. Now take a car like the Crosley with the COBRA engine which was given to self destruction. Someone who knew of these cars first hand back in the day might think it’s crazy to refer to that car as anything but rubbish; little more than an enclosed lawn tractor. They even sold them at hardware stores. But to me it’s a classic. However to someone who wasn’t born until 1990, my old Dart could be a “classic” even though to me it’ll always be the kind of car I could afford as a teenager because no one else wanted it. Besides which, even thinking about it as antique or classic is an acknowledgement that I’m headed towards antique status myself. Maybe someday if I make it to my ninties and come upon a well preserved Dart, I’ll refer to us both as classics. @ steve bailey. 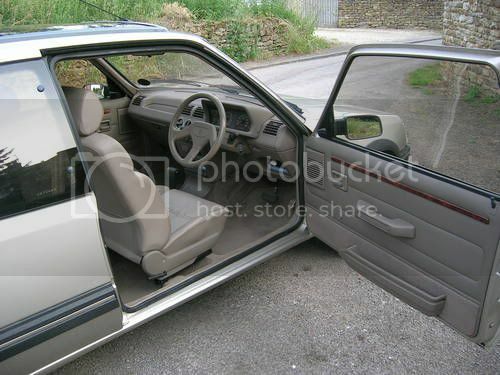 There really is something nice about that biscuit / boke interior isn’t there? You may also notice for the interior photo showing the sills / side door thickness, that the gallic chaps that built this car were clearly not at the forefront of side impact protection development!! I think the insurance industry’s definition is ANYTHING over a certain age – I think Footman James once told me it was 16 years as my Rover 820 was one year too young to qualify – should count next year though! Personally I prefer the liberal definition of classic, my contemporaries don’t – having seen my Allegro and Maxi and even my DeLorean, he’s asked if I would ever buy a classic car – by which I assume he means an old Jag or soemthing. 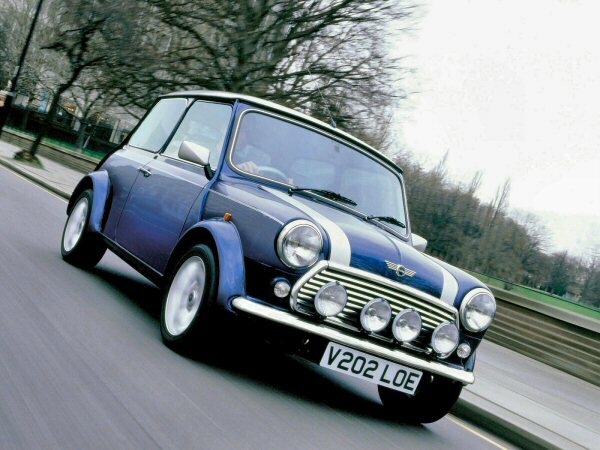 Trouble is take the ‘classic mini’ (BMW’s terminology), the newest of the issigonis design are coming up for 12 years old, but is a 12 year old one, any more or less classic than one 10 years older? I think classic can be applied to a design that’s no longer in production, although is a design of some merit. The 205 in my opinion is a classic design, it’s instantly recognisable and set the trend in automotive design for years to come. Although some cars are classics before they’ve even been built, the late 90’s Mini’s for example. I see what you mean about the sills! 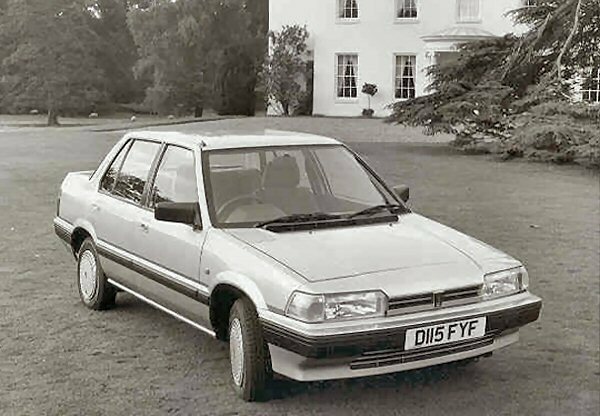 I had a 205, cracking car but made out of the thinnest steel imaginable – one step up from the metal foil found in cigarette packets. It would dent at the merest touch. Otherwise a great car though! It’s a difficult one this, mostly because as time goes on, what’s termed as a ‘Classic’ is chosen from a larger group as it’s basically anything between Vintage (which stops at 1929), and now – currently an 83 year span! The old man managed to get classic insurance on a mk2 Granada 2.8i when it was barely over 10 years old. Though it did have to be garaged and do a ridiculously low mileage. This debate will rage for ever and a day, and as every generation comes along a whole new breed of what is or isn’t a classic starts again. Being a 70s child and being ferried around in Dolomites, Rover 2000s, Princess, Maxi, Cortinas etc etc to me they are the classics of my childhood and youth, passing my test in the late 80s, those cars I bought then I suppose I could now class as classics, the Capris, the Cortinas, Granadas, Montegos Maestros et al, where someone say 20 years older than me will scoff at a Montego ever being called a classic car! Classics Monthly had a feature in the last issue on an 18 year old lad, the next generation of enthusiasts coming through, I think his oldest car was from 85 or thereabouts, as those are the cars of his time. I think the summary Keith posted up top is a pretty good one and would work well, maybe one of the few good things to come from the EU??? I’m with Europe on this one. Personally however, despite the official definition I always think of a classic car in the same way as a classic record. Something that gives you a feeling of nostalgia. If we set the stall out now for an “Old timer” (or whatever) classification, those under 40 (just!) might be able to enjoy classic’s when they retire…? I agree that the definition of a classic should be because of its age rather than whether anyone thinks a car is worthy of the term, because no one will ever agree on that. So whatever classification we put classics in, there would no doubt in this commentators mind where it should be. Rover 75 will or should be called a classic car in the future, last rover flagship an’ all. I agree, the classic car tag causes too much trouble when its about personal taste, eg. I detest Audis and think the Quattro as a dull, bad handling curio – certainly not as fun as say a Jenson FF and to my mind not worthy of the “classic” monniker. However, I think I’m probably the only one who thimks like that. Age limits take away discrimination which is good – does it matter that I think the Quattro should be ignored? No, and I never hope it does (it May be a very warped world) but atleast everyone from their Quattro to their 100 could be happy knowing that they don’t need to argue for their right to be a classic. Also, cars from 1930 to 1945 should be pre-war and 1946 to 1959 should be post-war. “I think Classic in the car sense can mean rare. …..by that definition the MG6 is definitely classic and still on the dealers forecourt! A lot is down to memories too ‘Oh I remember those’ etc. Which may not count for the 6, unfortunately. Well, really, if ya chucking in that 205 then the “Renault 5 Monoco” in there as well. It’s all down to personal taste isn’t it? But don’t diss another chaps personal likes. 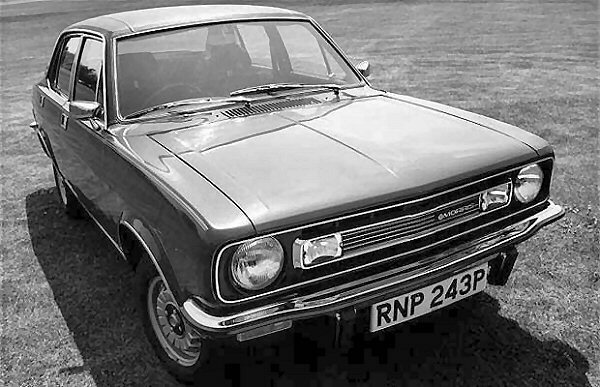 How about for a flawed classic, the Austin Maxi, a very progressive car when launched in 1969? It rewrote the rules for British family cars, that they must be saloons and preferably rwd, by being a hatchback with a boot bigger than most estate cars as well as having fwd. Also it came with a five speed gearbox that proved to be more economical and smoother on the motorway than the four speeders that were almost universal at the time. Add to this its distinctive shape, wood dashboard and spacious interior and the Maxi should have scared the Cortina into the hard shoulder. 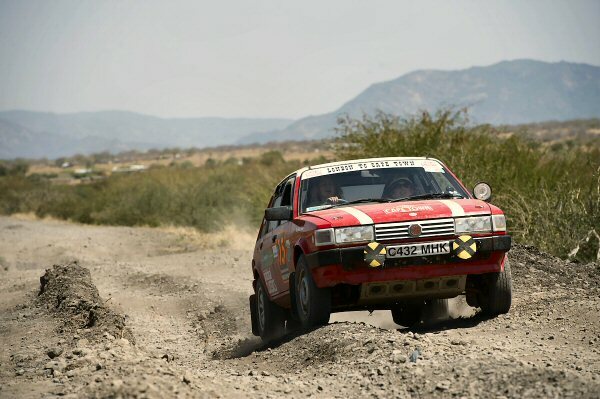 Sadly, serious problems with the gearbox on early models( never totally resolved as the gearchange was leaden on all models), trim faults and an underpowered 1500 cc on the first Maxis wrecked the car’s potential. Although the faults were ironed out and the Maxi matured into a decent car, it never took over from the more conservative Marina and Cortina as the fleet car of choice. you mean Ply-wood dashboard. Frankly the cheap ply-wood they used in the Maxis and Dolomites looked worse than the printed plastic used by others. I can’t speak for the Dolomite, but my Maxis have a very nice and good quality walnut veneer on top of the plank – all non-gloss Maxi dashboards had that apart from the last HLS, where the veneer was burr walnut, similar to the one used in early Rover 75s (apart from the hig-gloss top coat of the 75). @59 I’ve had a couple of firm carsbwith a ‘wooden’ dash. My 67 Elf had a lovely walnut veneer example, but the Dolomite was a some other wood veneer and not anywhere as good. Still nice to see a bit of wood on a car, and I have been scouring he net to see if I can find a ‘wood’ kit for my 9-5.
what about back to the old school cars?cars we can identify with our youth and other landmarks in our younger days,mine would be 205GTI,astra GTE16V,sierra cosworth,or any car from that era really. What about the Millions of vehicles built for the war effort between 1939 and 1945 though? :p Mostly Humber Staff cars, but there were various other vehicles produced, Longbridge Churned out quite a few. @Dennis – fair point – War Classics? We Imp owners tend to wind Tiger owners up by saying ” Rootes did a Good job on the Hillman Husky” (which itself was a shortened Minx platform, to produce the Husky estate car and Commer Cob van, that formed the basis for the Alpine’s which the Ford V8 engined Tiger was based on) This sometimes puts Tiger owners in the Huff or make friends with them, though they still dislike Imp owners, Some say they still blame the Blimp for Rootes downfall, though Historians blame Rootes purchase of Singer, …. as they say Mother was ill before troublesome Infant came along. Back to Classic Car/Badge snobbery it wasnt long ago that 70s datsuns were not allowed in! (Have seen a few immaculate Y’s lately) But if you Cherish your Tin Box and can put up with the opinions/remarks by some then thats all that counts, So who cares if it is a Trabant or Marina although I can understand why some just keep their cars to themselves and not show them, just driving weekends for the hell of it ! I understand the Government has to apply a cut off point for “Historic Vehicle” but is a shame that an owner has to pay road tax because his car was built a month after the Deadline, It should be a rolling event but some are concerned that Free R/T and some new cars are also free or under the £100.00 means little money to fix crumbling roads… However the Fuel costs should in theory fix sort this, for every £100 fuel you spend £80.00 goes to the Government. Yes, I guess that the definition of a classic car is subjective and open for discussion but a good question to ask is “Was it any good when it was new?” With that in mind, I don’t rate the Marina and Allegro as clasics, even though they may be collectable and interesting (for the wrong reasons!) but the SD1 certainly WAS good, before it fell to bits, as were countless other BL cars. the thing is, I guess that the Metro was good when it was first new but was still being sold when the opposition had caught up, had a nap then jetted off again !! The Rover 75 is already a Classic car. It’s all about what you call a classic car. Obviously something like an E Type Jaguar will immediately be regarded as a classic, but surely a decent and popular family car like a Mark 2 Cavalier, of which there are few left, could be called a classic now as it went out of production in 1988. Also you could class such cars like the Lada Riva as classics in a sort of how did anyone buy something like that back in the day category, and these are very rare now. I seems that up to cars made in the 1960s classic status would be automatically given after 20 years, but then as 1970s cars started to get this old it was at first just the more desirable models, with the rank & file ones slowly making the transition from collectable to classic. Cars from the 1980s seem to be doing this, but very slowly & even more exclusively.